The soon-to-be-opened Smithsonian National Museum of African American History and Culture in Washington, D.C., is seen Sept. 1, 2016. 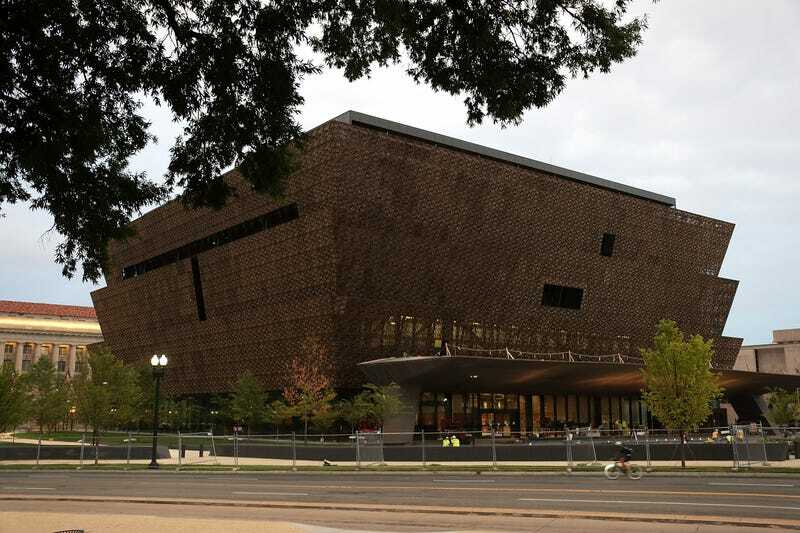 The free, same-day passes that went live on the National Museum of African American History and Culture website Monday sold out in four minutes, the Washington Post reports. The passes were grouped in 30-minute time slots between 10:30 a.m. and 4 p.m. They became available at 6:30 a.m. Monday and were unavailable by 6:34 a.m.
Last week the museum announced that it would be changing its same-day policy from in-person to web-based. The in-person line was eliminated because of the weather. The NMAAHC has also started allowing a limited number of walk-up admissions after 1 p.m. on weekdays; there are no walk-up passes available on weekends. Groups of 10 or more will also be able to schedule their visits up to a year in advance. Officials say that only about 40 percent of passes for weekdays are being used, but weekend use is higher. On Jan. 4, timed passes for April will be available, and on Feb. 1, passes for May will be released.